WordPress 5.0 is finally here. From now on you will get Gutenberg editor with it. What if you don’t like it or to be more specific you don’t want to use it. It’s obvious that WordPress is encouraging you to use Gutenberg editor by making it as a default one. But wait! Don’t be disapointed yet. You can still get back to the previous Classic editor and disable Gutenberg straight away. Gutenberg can be exciting, useful, and advanced. But, since people are on classic editor for a long period of time. It’s hard for them to switch to a new one. There are plenty of functionalities inside Gutenberg editor that people will love, It’s no surprise that some people will think otherwise. As stats shows this new WordPress editor got only 2.3 star rating out of 5. On the other hand Classic editor has 600,000+ active installs with 5 star user rating. No matter the sides you are on if you are here to know how to disable the Gutenberg editor, we have got some methods for you to do that. Choose any of the following ways. Each of the ways are equally effective and easy. Out of many different ways to disabling Gutenberg editor, installing Classic editor plugin would be the easiest one. It hides all traces of the new Gutenberg editor including the Dashboard widget asking the users to try it. First: Replace the Gutenberg editor with the Classic editor. Second: Use the Block editor by default and include optional links back to the Classic editor. Install Classic editor just like the way you install all other WordPress plugins on your system. Once you have installed the Classic editor you need to disable Gutenberg editor on the setting page. Go to Settings > Writing and checkmark on either of the options under Classic editor setting menu. Finally save all changes and you are done. There’s a plugin named Disable Gutenberg that takes disabling Gutenberg to a new height. 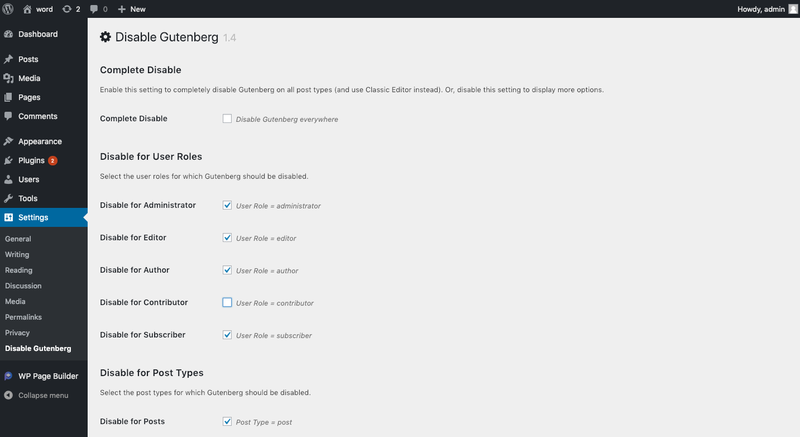 Alongside disabling the Gutenberg editor completely it can disable the new editor (Gutenberg) for specific posts, pages, user roles, post types, or theme templates. It enables you to disable Gutenberg and also replace it with the Classic editor. This plugin has 10000+ active installs and 50+ user reviews with 5 star ratings. Install the plugin on your system. Once installed and activated, go to Settings > Disable Gutenberg. The plugin check marks on Complete Disable by default. Uncheck boxes and check mark only the options you want to disable instead. You can also disable the Gutenberg editor by using a simple line of code. 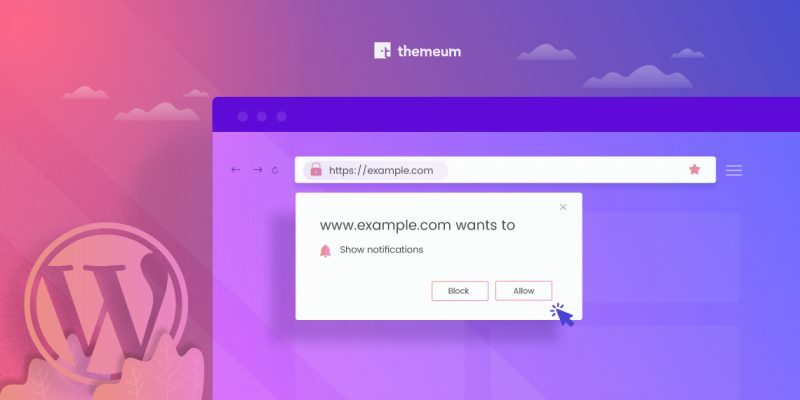 However, this is a risky business as it can sometimes cause your site to break. If you are developing a theme for your clients and don’t know which version they will use this theme for then place the code below on your function.php file. If you plan on using Classic editor you have to remember that The Classic editor plugin will be officially supported until December 31, 2021. So, it would be a good idea to be comfortable with Gutenberg editor. 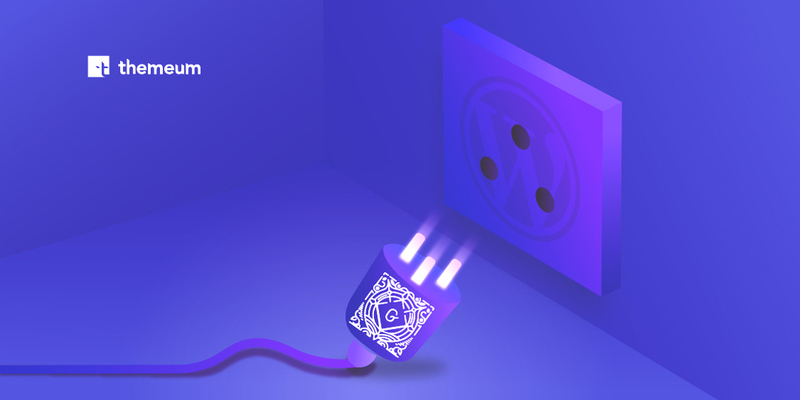 The way WordPress team is focusing on Gutenberg and improving the plugin, today or tomorrow you will love it. For the time being and until you are comfortable with Gutenberg, disable this editor following the ways we’ve shown here. 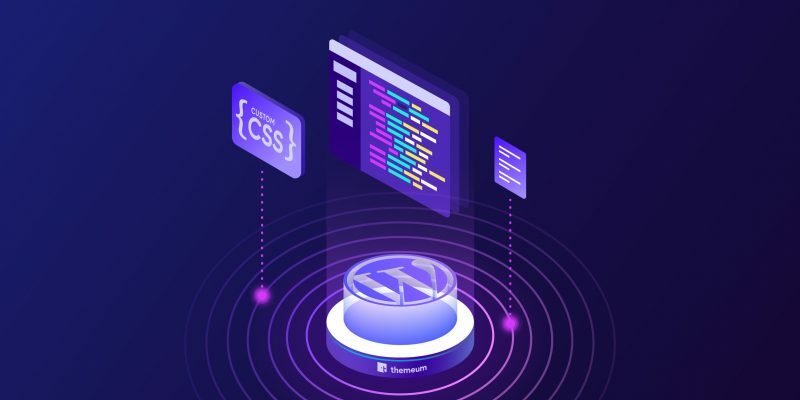 Want to know more about Gutenberg and WordPress stuff? 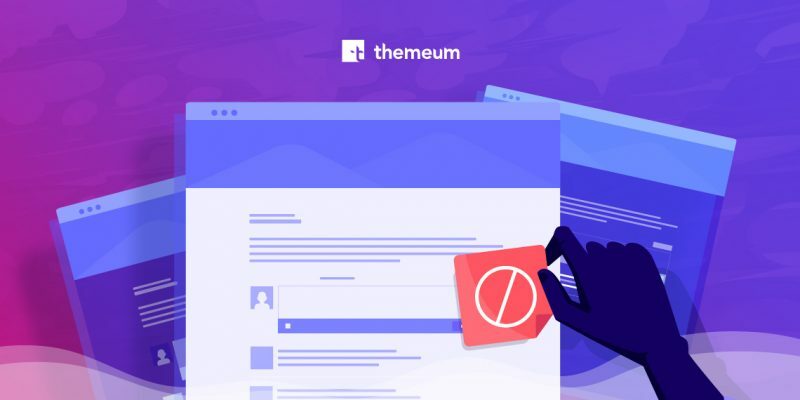 Please do visit Themeum blog regularly.